Subunit of cyclic nucleotide-gated (CNG) channels, nonselective cation channels, which play important roles in both visual and olfactory signal transduction. 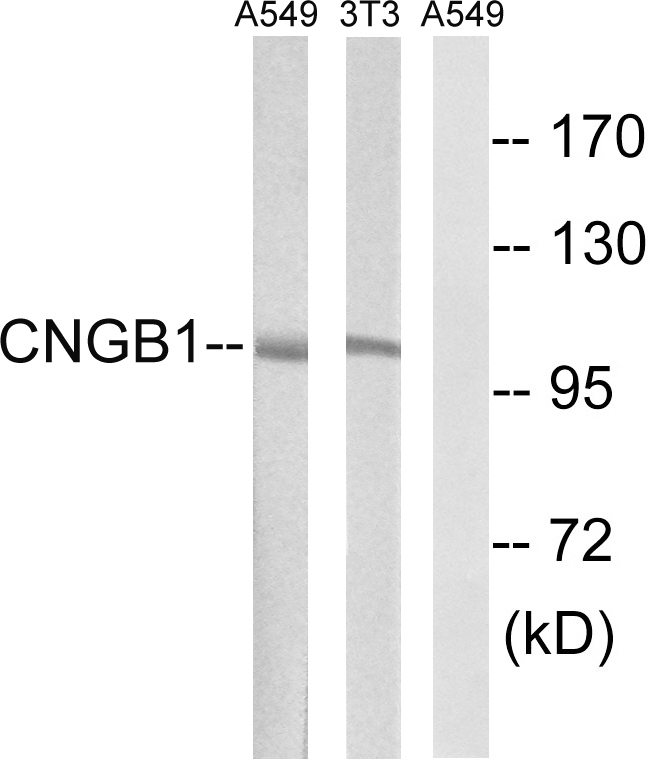 When associated with CNGA1, it is involved in the regulation of ion flow into the rod photoreceptor outer segment (ROS), in response to light-induced alteration of the levels of intracellular cGMP. Isoform GARP2 is a high affinity rod photoreceptor phosphodiesterase (PDE6)-binding protein that modulates its catalytic properties: it is a regulator of spontaneous activation of rod PDE6, thereby serving to lower rod photoreceptor 'dark noise' and allowing these sensory cells to operate at the single photon detection limit. Retinitis pigmentosa 45 (RP45) [MIM:613767]: A retinal dystrophy belonging to the group of pigmentary retinopathies. Retinitis pigmentosa is characterized by retinal pigment deposits visible on fundus examination and primary loss of rod photoreceptor cells followed by secondary loss of cone photoreceptors. Patients typically have night vision blindness and loss of midperipheral visual field. As their condition progresses, they lose their far peripheral visual field and eventually central vision as well. Note: The disease is caused by mutations affecting the gene represented in this entry.